First, I want to wish everyone a happy and prosperous New Year. For the second year in a row Deby and I are starting the year on a motorcycle trip. Last new year’s day was spent riding with our friend Mark in Baja. I’ve been e-mailing with him and he is in Baja again this year and we hope to catch up with him along the way. 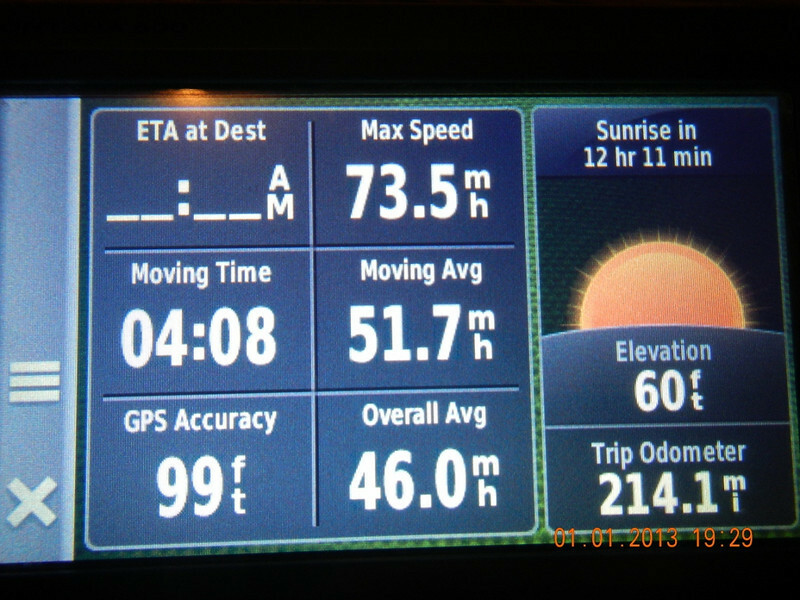 Here are the stats for the day, another easy mileage day twisting along the Oregon Coast. We had SUN all day long and it felt really good. Another first, the temperature climbed above 50 degrees! Yes, all the way up to 52. It felt balmy and I even turned down my heated liner a notch (insert happy face here). The only downside to riding today was frost on the road from overnight freezing. We had to take it pretty easy on the curvy roads where the tall trees blocked the sun from warming the road surface. Not a problem though, just rode slow…. Here is a good picture – sunglasses all day! 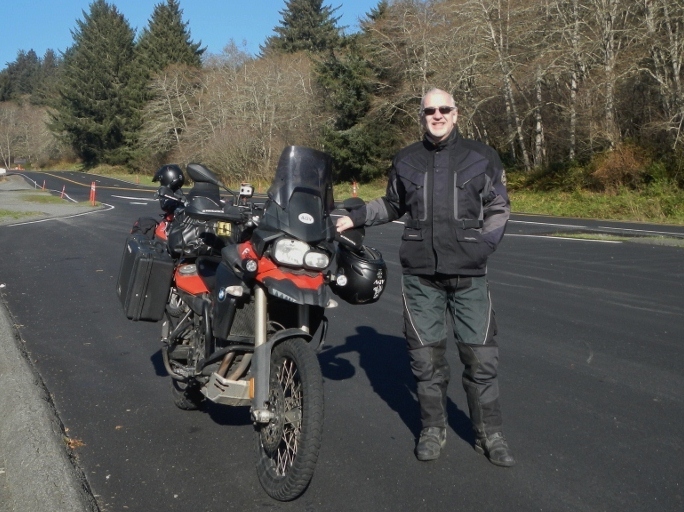 At a gas station in Eureka California an ADV biker came over to look at the bikes and have a chat. He recommended we take a detour off 101 to ride the California Lost Coast Road. Click the link to read more about it. We decided to stop in Fernwood, the gateway to the Lost Coast road and found ourselves at the quaint Victorian Inn in Fernwood. According to their website the hotel was build out of Redwoods in 1890, nice. Don’t forget to check out the LINKS page for our tracking and pictures link. This entry was posted in 2013 Motoraid II, Dual Sport, Motorcycle Adventure by donnh. Bookmark the permalink. The lost coast road looks spectacular! Thanks for the head’s up. Will definitely put it on my list. Ha, yes. Ferndale…..where are we? What day is it? I can’t believe it’s starting already. Thanks for the correction. the Lost Coast Road looks amazing ! Reminds me of WI until you hit the ocean , of course. Would love to see it someday !